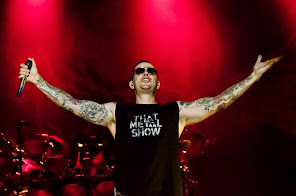 Avenged Sevenfold News: M.Shadows: "We will try and make a PC version of the game..."
M.Shadows: "We will try and make a PC version of the game..."
Will Hail To The King: Deathbat be available on PC? We will try and make a PC version of the game as long as there are enough people that want it. But then again if that many people want it I'd rather use the resources and make part 2.